Dr Michelle Lai Wai See of Premier Clinic performed Carbon Peel Laser for a patient to improve the skin condition. 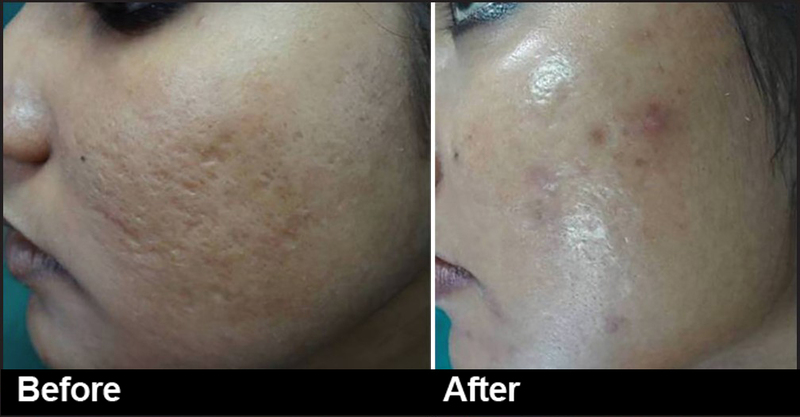 Carbon Peel Laser is an effective aesthetic laser treatment, highly beneficial for people with oily skin, blackheads, enlarged pores, dull skin and acne on the face or body. Carbon has the ability to absorb oil and contaminants from deep within the pores. As the carbon is targeted by our laser, it removes dead skin cells, blackheads and effectively exfoliates the skin. The result is softer, radiant skin with reduced pore size and a more even skin tone. It is also an excellent way to restore your skin’s radiance with skin brightening and whitening. Carbon Peel Laser is suitable for all ages and skin types, is painless and there is no downtime associated with this treatment. You can resume your regular activities immediately after. To make an appointment to see Dr Michelle Lai, please call/whatapp 016-7060101 or Email us at contactus@premier-clinic.com. Dr Michelle Lai is based in Premier Clinic Puchong branch. Visit our website www.premier-clinic.com to find out more on our services.